Manufacturer of a wide range of products which include easy servo drive, servo drive and ac servo drive. Supported by the reputed organizations of the market, we are engaged in trading Parker Servo Drive. 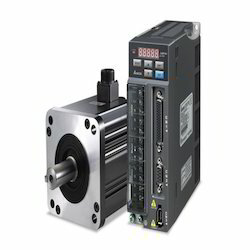 These servo drives are procured from the authentic vendors of the market, who strictly follow the established guidelines of the industry while manufacturing. Also, our vendors make sure to utilize modern machines and high-quality material to manufacture these drives. Our technicians make use of high-grade neodymium, iron, magnet and low loss silicon steel sheet to manufacture these Servo Drive. Widely appreciated by the customers, our range of brushless servo motors offer excellent performance and require less maintenance. We have marked a remarkable position in the industry by manufacturing and trading a broad spectrum of AC Servo Drive. 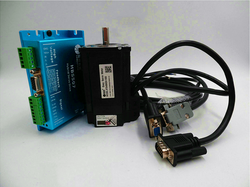 This servo drive is used to detect unwanted motions and in power electric as it is easy to operate. Offered servo drive is manufactured with the help of advanced technology and by using premium quality components in accordance to set market standards. Each servo drive is checked by our quality experts before delivering it to our clients. 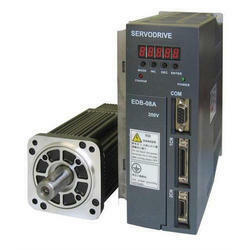 Furthermore, servo drive can be availed at market leading prices.